Can you tell the difference between a computer graphics and a real painting? We have prepared a quiz with nine different pictures. 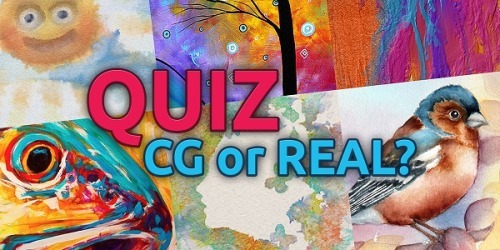 Your task will be to determine whether it is a work of a traditional painter or a CG artist’s digital art. At the end you will see your score and a BIG NEWS we would like to share. It will take approximately one minute of your time, so don’t hesitate and TAKE THE QUIZ!